Here, 7 incredible DIY treats that are perfect for sharing with Valentines or devouring all alone while watching reruns. These chewy, caramels are coated in chocolate and topped with sea salt. For parties, Melissa Rubel Jacobson sets out bowls of flavored ganache and dishes of coatings so guests can create their own truffles. Dominique Ansel's incredible chocolate-covered toffee makes a fantastic gift. Bitter dark chocolate balances the sweetness of a delicious filling made with tangy raspberry jam and peanut butter. 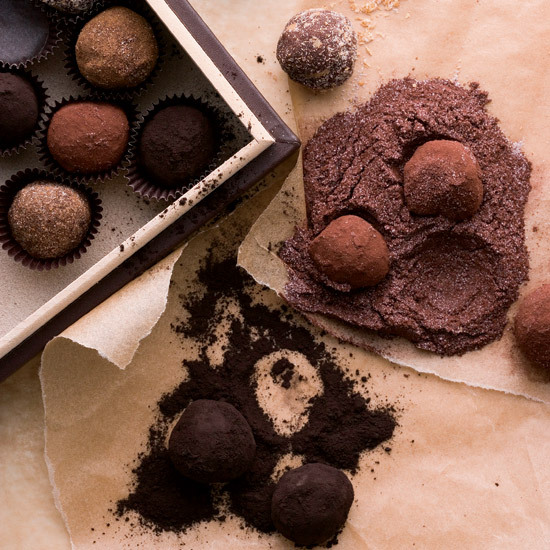 Self-taught chocolatier Joan Coukos coats her truffles in a variety of flavors, including blends of Chinese and Mexican spices. Jacques Torres satisfies his chocolate cravings with this super-chunky bark. Easy to make-ahead of time, these chewy candies are more like chocolate caramels than French-style truffles.